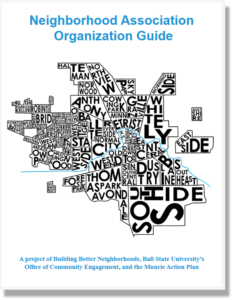 This workbook has been prepared for Muncie’s neighborhood organizers under the direction of: Muncie Action Plan’s (MAP) Task Force 2 Initiative and the Building Better Neighborhoods (BBN) program in Ball State University’s Office of Community Engagement. 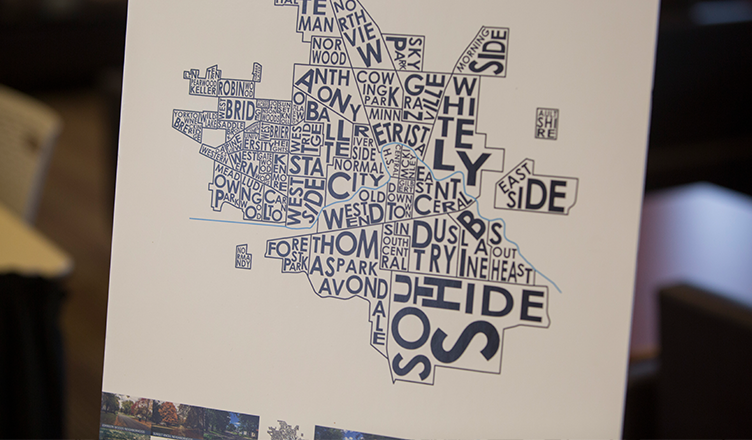 The following information is based on publicly available information, and the activities of current Muncie neighborhood associations. In this workbook, you will find a guide to forming and maintaining a neighborhood association, sections addressing issues and challenges faced by neighborhood organizers, and a collection of ideas and resources.